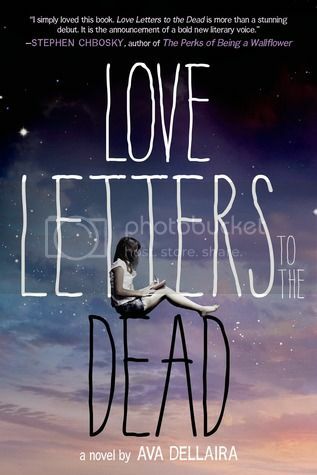 When I first discovered Love Letters to the Dead, I knew it was a book that I would have to get my hands on. Not only had it gotten pretty great reviews, but the summary just made the book sound so very interesting. I’m glad that I had the chance to read this book, it definitely did not disappoint! One of the very first assignments that Laurel receives her freshman year at her new school is to write a letter to a dead person. For her first letter, Laurel chooses Kurt Cobain, as he died at a very young age, just like Laurel’s sister May did. But Laurel doesn’t stop with just one letter, she writes more to various singers, authors and actors, and talks to the dead people about anything from starting high school to her new relationships, and eventually, even about her sister’s death. Laurel was a very interesting character. While she had had a pretty decent childhood, her teen years were not quite as good. This poor child had been through so very much in such a short period of time; it wasn’t surprising that she had shutdown about what had happened. Her parents split up, her sister died, her mom moved across the country, leaving Laurel to think that everything was her fault. Throughout the book, as more of the story starts to unfold, I couldn’t help but feel bad for this girl. I thought that Laurel writing these letters to dead people was a very therapeutic way for her to come to terms with what happened with her sister. It gave her a sense of closure that she desperately needed. I hate that she blamed herself for what happened, and the more we read into the story, we clearly see that it wasn’t her fault at all. I really, really love the way this novel was written. The story is completely told, just as the title suggests, as a series of letters to dead people. While Laurel wrote about her day to day life, I love that the author also included information about things that happened in the life recipient of the letter. It was so clever to include that information as well, and how Laurel related to each person. The only thing in the book that bothered me, as a parent, was that I felt that Laurel’s parents were kind of oblivious. I mean, I they knew that Laurel was sad, and that she was hurting and missing her sister, but they didn’t see how deep it went. Regardless, they should have gotten her help anyways after her sister died. Especially considering how close they were, and how it all happened. Overall, I knew this was going to be a good read, but I really ended up enjoying so much more than I expected to. Check it out! Great review. I'm hoping to get a copy when it comes out. It sounds like a great story. The lack of parental insight bothered me, too, but guess that I can understand given that everyone is dealing with their grief. Really loved the storytelling style of this book. Great review! I've heard nothing but great things about this book. Laurel sounds like a great character that a lot of people empathize with, and the writing style sounds so unique. I can't wait to finally get around to reading it!